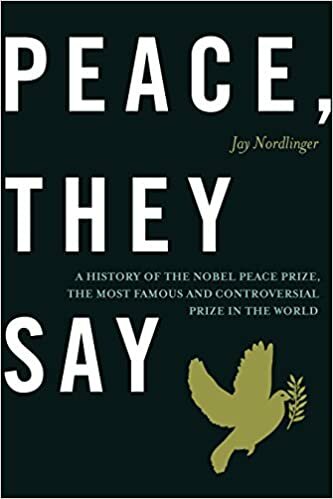 A list of people who have contributed to peace. These include efforts from politicians, humanitarians and spiritual figures. Mikhail Gorbachev (1931 – ) Made a lasting contribution to world peace through his determination to reform the Soviet Union. Gorbachev initiated proposals to reduce the number of nuclear arms and helped to end the Cold War. Also, Gorbachev allowed Eastern European countries to break away from Communist rule and become democratic states. Awarded Nobel Peace Prize in 1990. Lech Walesa (1943-) Leader of Polish Solidarity Movement had helped to bring about the end of one-party Communist rule. Became the first non-Communist President in 1991. Awarded the Nobel Peace Prize in 1983. Mahatma Gandhi (1869-1948) – Inspired Indians to independence through a path of non-violence. To Gandhi, the road to the goal was as important as the goal itself. U Thant (1909 – 1974) was a Burmese diplomat and the third United Nations Secretary-General. 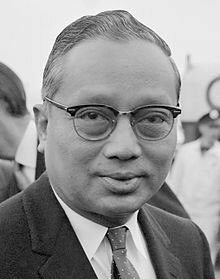 U Thant played a crucial role in diffusing the Cuban Missile Crisis and was widely respected for his calmness, detachment and commitment to conflict resolution in his role as UN Secretary General. Betty Williams (1943 -) Williams along with Mairead Corrigan co-founded the Community of Peace People – an organisation dedicated to promoting a peaceful resolution to the Northern Ireland conflict. She was jointly awarded the Nobel Peace Prize with Corrigan in 1976. 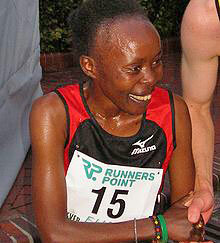 Tegla Laroupe (1973 – ) Kenya marathon runner and peace activist. Widely praised for promoting peace amongst African tribes. In 2003, Laroupe created an annual series of Peace Marathons sponsored by the Tegla Loroupe Peace Foundation. Martin Luther King (1929 – 1968) Non-violent civil rights leader. King promoted an end to discrimination through an inclusive philosophy of non-violent protest and mutual co-operation. He also spoke out against the Vietnam war. Muhammad Ali (1942-2016 ) When Ali refused to fight in Vietnam, it was a controversial decision which cost him his professional boxing licence. However, Ali’s principled stance was increasingly appreciated as the war became more unpopular. 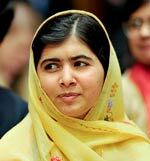 Malala Yousafzai (1997 – ) Pakistani schoolgirl who overcame assassination attempt by Taliban to campaign for universal access to education. The youngest person to be nominated for Nobel Peace Prize in 2013. A few examples of people who seek to promote peace through the embodiment of peaceful and spiritual values. 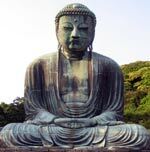 Buddha – (563-483 BC) Siddhartha was born a Prince in India, but he forsook the comforts of the palace to seek enlightenment. After attaining Nirvana, he spent many years teaching his philosophy of inner peace, detachment and how to attain liberation from earthly suffering. Jesus Christ (2BC – 7 AD) Jesus taught a radical philosophy of love and forgiveness. These teachings formed the basis of Christianity. Leo Tolstoy (1828-1910) Author of War and Peace and committed to principles of non-violence. His literal interpretation of the ethical principles of Jesus Christ led to the creation of his non-violent philosophy. Tolstoy’s writing had a big impact on Gandhi and Martin Luther King. 14th Dalai Lama (1935 – ) The spiritual leader of Tibet, the Dalai Lama has sought to protect the interests of the Tibetans while promoting a non-violent approach to the Chinese. He teaches the importance of compassion for promoting happiness and inner peace. 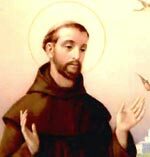 St Francis of Assisi (1182 – 1226) – Italian saint of the Twelfth / Thirteenth century. St Francis started a new order of monks- The Franciscans, who were devoted to poverty and chastity. 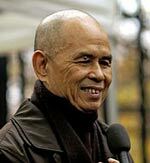 Thich Nhat Hanh (1926 – )Vietnamese monk who inspired the movement of engaged Buddhism. 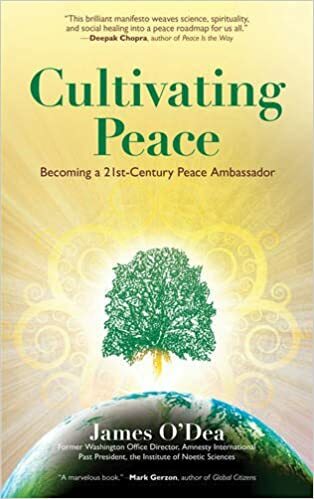 Hanh has been a prominent peace activist and has written extensively on incorporating Buddhist teachings into everyday life. Swami Vivekananda (1863 – 1902) Vivekananda was a spiritual figure from India. He is best remembered for visiting the inaugural Parliament of World Religions, (1893) in Chicago. Vivekananda spoke eloquently about the underlying unity of religions and appealed to bring people together. Pope Francis (1936– ) ]Pope Francis has stressed the importance of humility, modesty and concern for the poor. He has also spoken out about the dangers of nuclear proliferation and encouraged countries and people to seek peaceful resolutions to differences of opinion. William Wilberforce (1759 – 1833) – Campaigned against slavery, helping to outlaw slavery in Great Britain. The Slavery Abolition Act 1833, was passed three days after his death. 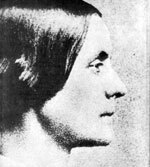 Susan B. Anthony. American suffragist and campaigner for women’s equal rights. Played a significant role in women gaining the vote in the US. Desmond Tutu (1931 – ) Campaigner against apartheid in South Africa. Since the end of apartheid, Tutu has campaigned on a wide range of humanitarian issues, seeking to overcome racism, sexism, homophobia, AIDS and poverty. 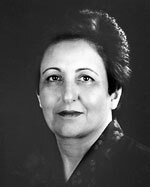 Shirin Ebadi. (1947 – ) Iranian judge and lawyer. She fought for the right for women to purse a legal career in Iran. She has also defended opposition dissidents who have fallen foul of the Iranian judicial system. Winston Churchill (1874-1965). Churchill was adamantine in his belief Britain must stand up to Hitler. He kept Great Britain fighting when some considered it necessary to seek a deal with Nazi Germany. Through remaining opposed to Hitler, Churchill enabled the eventual defeat of the Nazi totalitarian state. Woodrow Wilson. 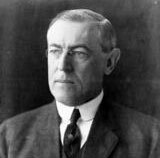 (1856-1924) Wilson tried very hard to keep the US neutral in the First World War. It was only after very significant provocation that he allowed the US to enter the war. However, Wilson did not enter the war with jingoism and enthusiasm; he knew how awful war could be. In 1918, he issued his Fourteen Points, which he hoped would avoid future conflict. This included his vision for a League of Nations, which would provide a forum for resolving future conflict. Citation: Pettinger, Tejvan. “People who made a contribution to world peace”, Oxford, UK. www.biographyonline.net, Published 11 Feb 2013. Last updated 6 February 2018.